There are freethinkers, free spirits, risk takers, right makers, dreamers, and doers who are standing up to support Together, We Dream. Here is one story that explains why. 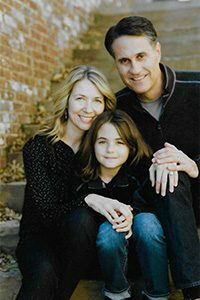 Meet Gary and Suzanne Schwartz, MPA parents. It demonstrates to our child that this community is invested in him and his future. The Together, We Dream campaign will create the spaces that kids will want to go to to learn, socialize, and work together in ways that will enrich their overall development. We appreciate that Mounds Park Academy is more than just a school—it’s a community. The library, cafeteria, and kitchen at MPA have parallels with the kitchen and living room of a home. These spaces are the gathering spaces, and are just as important for the development of the child as are the classrooms. One key to the MPA curriculum is the idea that they are preparing students for excelling in real world settings. They are teaching our children to work collaboratively on complex problems, and the Together, We Dream campaign supports this idea by creating the necessary environments on the MPA campus.